I have prepared this tutorial on disabling chat and using Discord for communications for anyone interested in having more control over the communications they engage with on Minecraft Java servers. 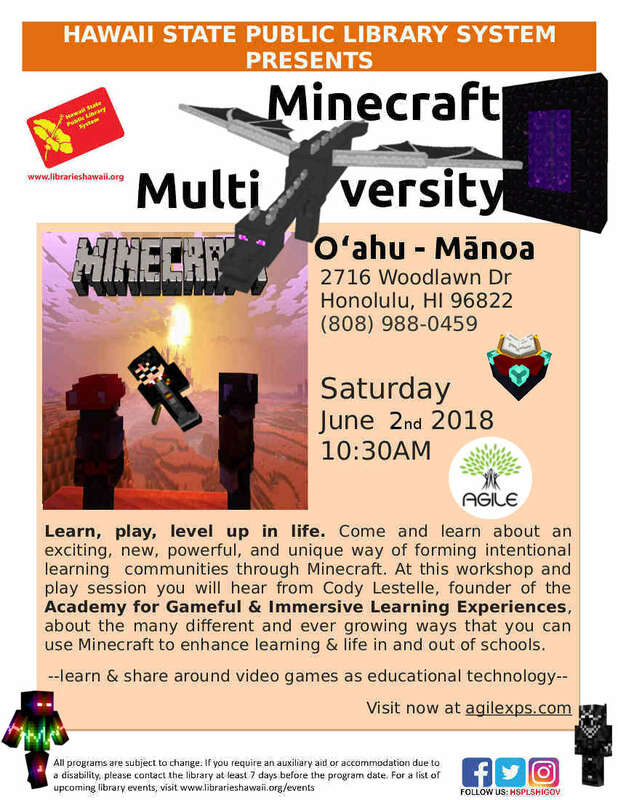 For anyone using Minecraft Bedrock, see this article instead, especially the section “OTHERS CAN COMMUNICATE WITH VOICE, TEXT, OR INVITES.” The inspiration to write this tutorial comes from parent questions regarding online safety at a Minecraft Multiversity workshop that I gave at the Mānoa public library on June 2nd, 2018. Control over communications from the client/user side also has a lot of usefulness for the purposes of this course, so I am publishing this here. Beyond the concerns around child safety in multiplayer gaming that prompted me to look into this, I see at least a few reasons why this is useful. 1) it is helpful to filter out unnecessary noise in an educational setting that might otherwise prove distracting e.g. people who have nothing to do with the class and what we are studying sending distracting chat messages 2) control over communications by the user is crucial to democracy 3) utilizing Discord chat and/or voice instead of Minecraft chat allows for live chat and voice on specific channels dedicated to different functions, optimizing the effectiveness of our communications. I recommend using Discord for communications. For parents and, really, anyone wanting to know what Discord is and how it works, I recommend reading this Parentʻs Guide to Discord. For general public users accessing the AGILE Java Minecraft server, which is the primary site of our democratic experimentation, you can join the AGILE Discord server. I also recommend that participants create their own Discord servers specific to your own real and virtual world purposes (e.g. family fun, Minecraft townships and guilds, professional development & virtual world workshops etc.). For students enrolled in POLS/WS 394 and other official guest speakers to the class, I have created a server dedicated to our Advanced Democratic Practice & Theory Through Games class. Those who should have access to this server will receive the login information directly from me if you have not already. If you have something to offer our study and would like to join us as an official guest speaker, please contact me at lestelle@hawaii.edu with your qualifications and ideas for engagement. Thanks for reading, please leave comments with any feedback or questions.